New York's HAP Investment Developers has commenced construction on its latest Upper Manhattan project, dubbed Hap 4, and celebrated by releasing new renders by its celebrated designer Karim Rashid. Located at 655 West 187th Street, the eight-story building, will span 74,343 square feet and include 47 rentals varying in size from one-to-three bedroom apartments. The quirky looking structure with its puzzle piece-like exterior facade will utilise modular technology; reducing construction time and cost. While presenting to the local community board in April last year, the developers said that the building would be shipped in 97 modular units to the site from a factory in Pennsylvania. Multi-award winning designer having designed across various sectors including luxury goods, furniture, lighting, surface design, brand identity and packaging. HAP, led by CEO Eran Polack, was founded in the 1990s. The firm launched New York operations in 2010 and specialises in mid-sized projects; the firm has reportedly spent $100 million on six projects in East Harlem. The developer is also working on a $400 million residential tower in Jersey City. HAP 4 is located in Hudson Heights, Manhattan, an emerging community has attracted many restaurants, gourmet food markets, and retail stores in recent years. Hudson Heights has multiple parks including the Highbridge and Fort Washington Park. The neighborhood has breathtaking views of the Hudson River. 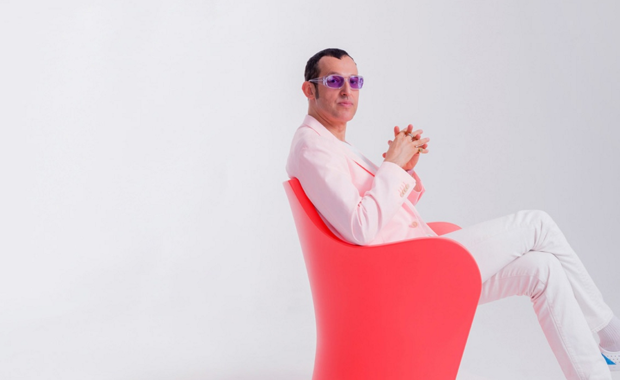 HAP 4's designer Karim Rashid is one of the most prolific designers of his generation. Over 3000 designs in production, over 300 awards and working in over 40 countries attest to his work ethic. "The concept for HAP Four, like all my designs for HAP are embracing the democratisation of design, or what I call affordable luxury," Rashid said. "With new technologies and smart solutions as well as the new changing global contemporary sensibilities everyone can afford and desire high quality, high design, high aesthetics and high performance environments. ""The facade color-story is inspired by New York State bush, Lilac, which has been reinterpreted into a pixalated image across it resulting in various shades of purples, lilacs and golds.